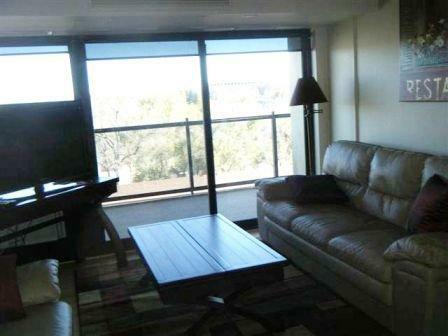 Bringing New Meaning to All-Inclusive: Fully Furnished Units AVAILABLE NOW in Colorado Springs, CO! 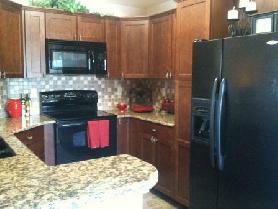 Newer 1,191 square foot 2 bedroom/2 bathroom executive condo with a detached 1 car garage. This property features many high end upgrades including granite counter tops in the kitchen and bathrooms and stainless steel appliances. To view more photos, maps, and information about this lovely property, please click here. 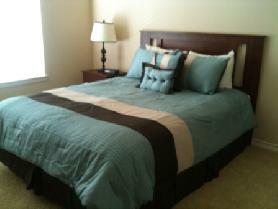 Fresh and contemporary 2 bedroom/2 bathroom loft with wonderful accents. Large walk out balcony, granite kitchen counters, hardwood floors, private bedrooms, and master bedroom with adjoining full bath. Gated building, fitness center, business center and entertainment area inside and outside. Close to downtown, Ft. Carson, and many Government entities. To view more photos, maps, and information about this downtown Colorado Springs high rise loft, please click here. NEW!! Gated development 2 bedroom/2 bathroom Peak view condo with walk out covered balcony, built in desk, and a washer/dryer in the unit. This property features AMAZING views of the majestic Rocky Mountains! Parking is available for an additional fee. Pets are accepted; however, there are certain restrictions that apply. This secure gated community features a fitness center and an outdoor pool perfect to beat the summer heat! Reserve it today as it will be booked before you know it! To view more photos, maps, and information about this spectacular Colorado Springs condo, please click here. To take a look at all of the amazing fully furnished rentals that AvenueWest Colorado Springs has to offer, please visit us at http://ColoradoSprings.AvenueWest.com or give us a call directly at 719-442-4337.